When was the last time you got to borrow a puppy for the day? My son Alex, , age 26 and old enough to know better, text messaged me at 2:00 am this morning and writes to call him when I wake up. Well guess what? The text message woke me up so I called.. He wanted to know if I wanted a puppy for the day as he and his roommate were puppy sitting , but they both had to go to work and the little puppy would be by himself all day. 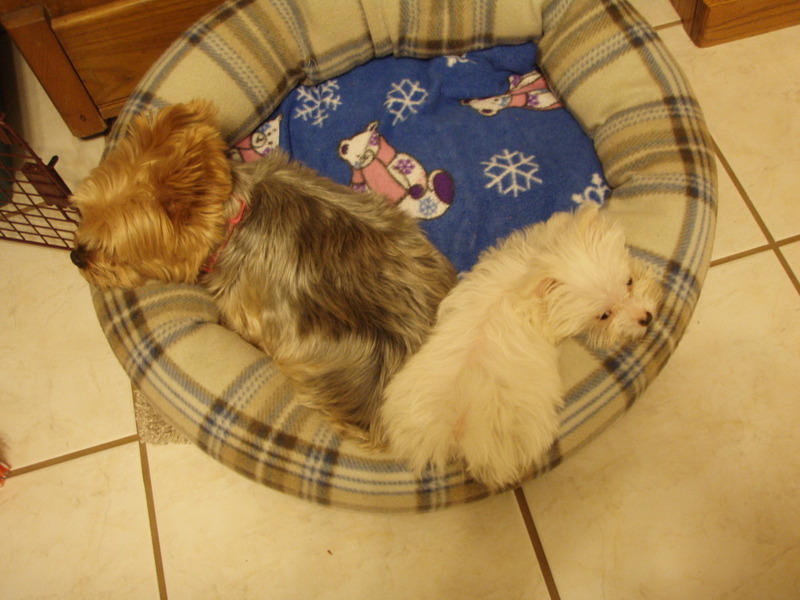 Now, maybe I should explain, my kids and I are definitely dog people – I bet we have found more stray dogs than any other family – but those stories are for another blog. This blog belongs to Marshmallow. So Marshmallow was mine for the day. 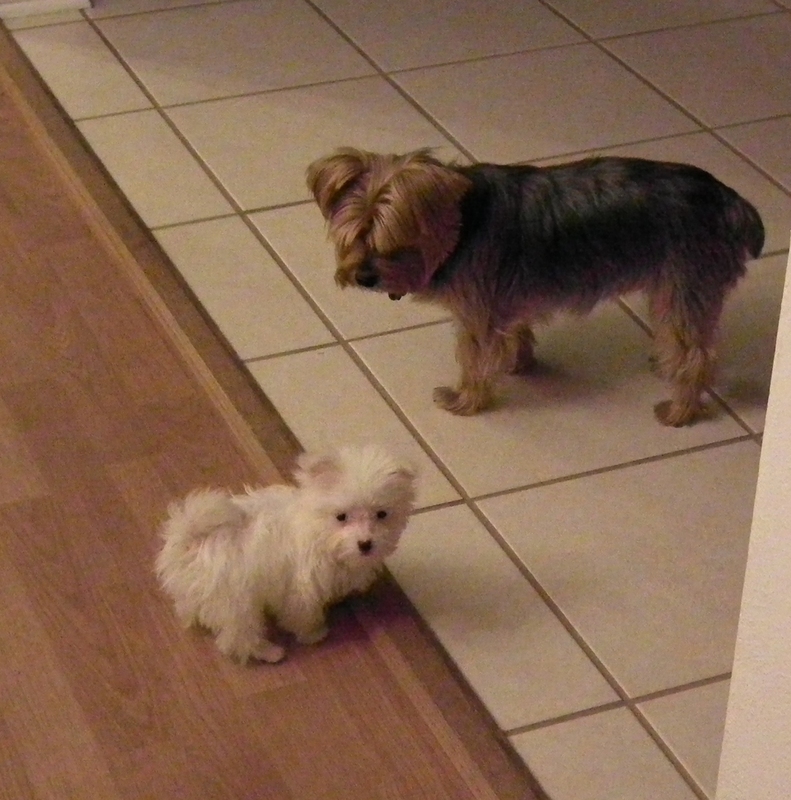 I introduced him to my 2 Yorkies, who were terrified of this little puppy and then we all just hung out at home where Marshmallow could run around , chase Yorkies, and get some exercise in a safe environment. And, as I sit at the computer now, he has fallen asleep in my lap. Hope you enjoy the photos. 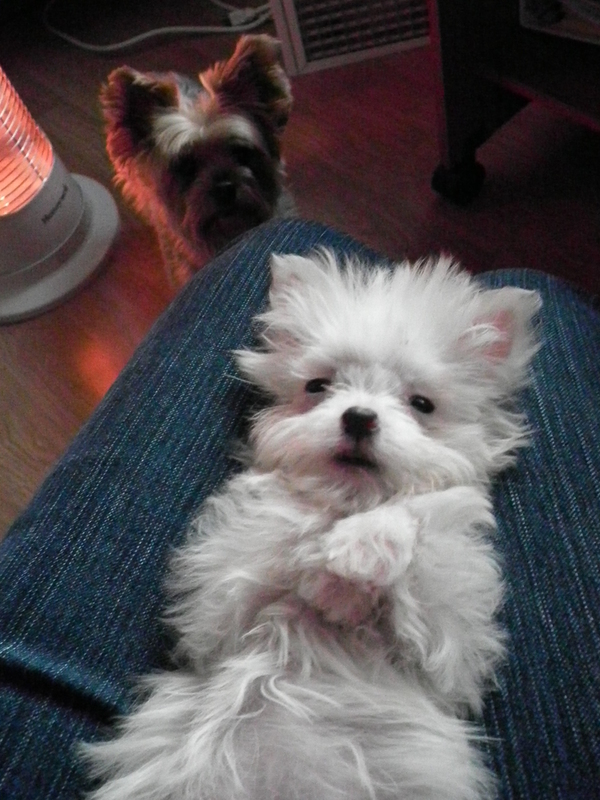 Marshmallow in my lap as jealous Tootsie looks on. “Why do you keep following me? “Daisy asks. Everyone agrees its nice to cuddle.